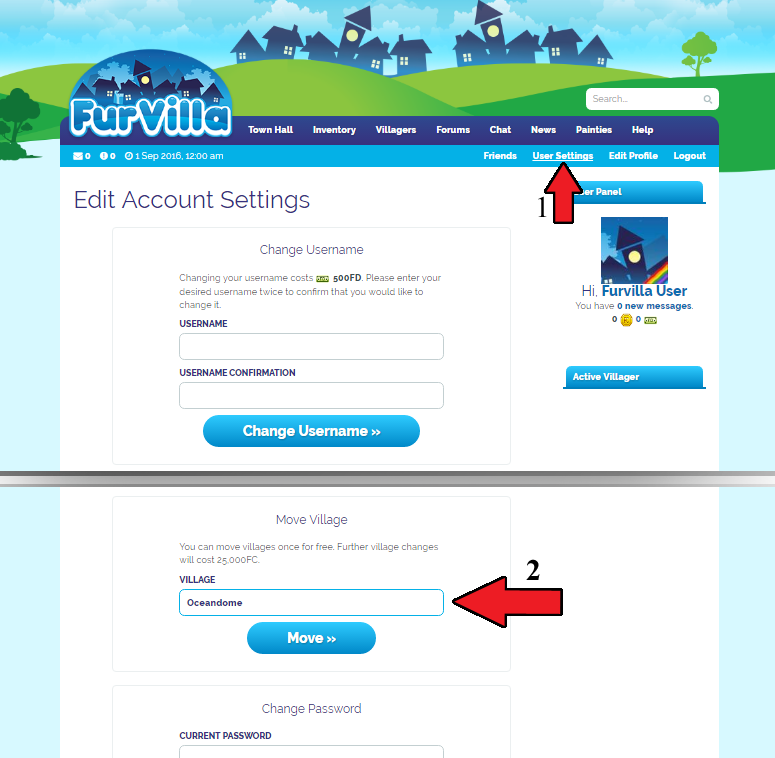 One of the first things you'll be asked to do when you make your account is to choose a village. But what exactly does this mean? This guide will explain the differences between villages, and what this choice means for you. Villages have three main aspects that affect you as a player -- visual, social, and gameplay. There are five villages to choose from. 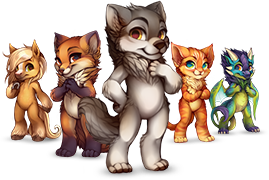 Each village provides a unique overall experience while you play Furvilla, but no matter which you choose you’re sure to find something interesting to enjoy. However, if you end up wanting to spend some time in a different village, don’t worry; you’re always able to change which one you call home. What are the visual aspects of village choice? The village you choose affects several key visual aspects of the site. Once chosen, your homepage will serve as your Town Hall, and depict an image of your village’s unique shops. Your profile will display your village crest. Your username will also have a village-associated icon attached to it, which allows other players to easily see which village you’re in. What are the social aspects of village choice? Each village comes with its own private forum and live chat room, which can both be accessed from either the main navigation bar, or under the Community section of your Town Hall home page. This lets you talk to other members of your village. Each village’s community depends on its users. Perhaps you’ll help organize some special events or games in your village? The possibilities are endless, and completely up to you! Don’t forget to say hi and introduce yourself to your neighbors! What are the gameplay aspects of village choice? Perhaps the most important feature of village choice is the gameplay aspect. Each village has access to different items, which affect how the different careers play. Here we’ll cover some of the most crucial differences. The explorer career is one of the easiest places to see the variance between villages. Each village has a unique set of items that explores can find. These items tend to match with the general aesthetic of the village they’re found in, and are used to make rare items whose recipes originate from shops in the same town. Each village has its own set of unique shops which sell wares exclusive to that town. Recipes that teach your villagers how to make things are sold in these shops, as well as some necessary components for making them. While villagers from any town can gain access to any of these items by buying them from other players, you will have easiest access to those that are native to your town. These affect careers like crafter, tailor, doctor, blacksmith, and alchemist. Crafters and tailors can buy blueprints and patterns for costumes native to their town. Doctors can buy recipes for medicines to cure diseases that villagers living in that town can catch. Blacksmiths can buy schemas to learn how to make that village’s native weapons and armor, and alchemists can buy recipes to make the town’s native potions. When making rare items from your village, any recipe components that don’t originate from explorers or shops will come from warriors. Similarly to explorers, each village has a unique set of monsters for your warriors to fight, and these monsters drop a unique set of loot. If you want loot from other villages, you will have to buy them from other players. Warriors will also have easiest access to armor and weapons from their own village, as that is what your blacksmiths will have the easiest time making. Each village’s equipment has an element type assigned to them, which make them stronger or weaker versus certain typed monsters. Villages also have unique advantages and drawbacks assigned to their native weapons and armor. Villagers with the animal husbandry career can go out and collect animals that are unique to their village. You may buy pets native to other villages from other players, but your villagers will only have the chance to find animals that live where they do. Construction workers are a bit of a special case. Each village has a unique type of wood, but construction workers may utilize any of them to build things. However, construction workers can only build houses from the village they are in, and villager slots can only be unlocked with a house from your own village. How do I change villages? So you’ve chosen your village, but for one reason or another you’re feeling the need to move. Not to worry! 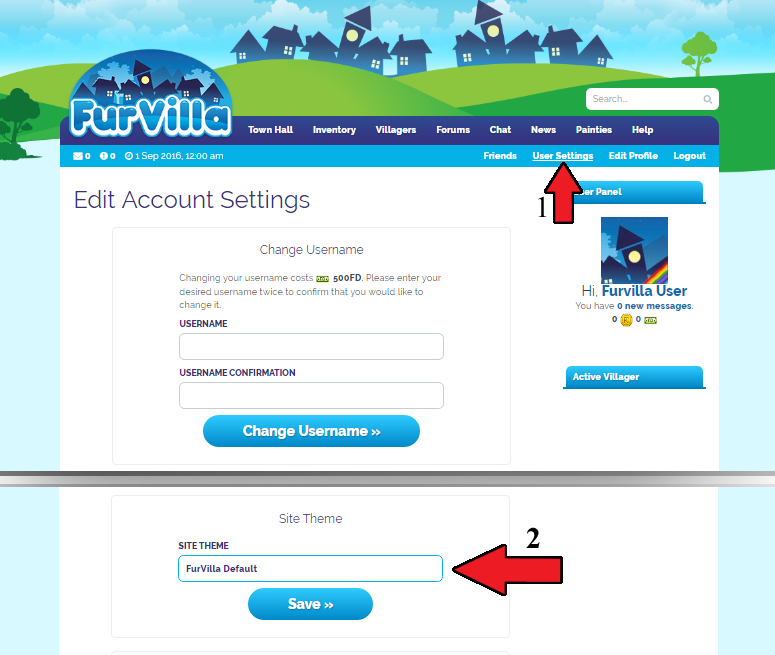 It’s easy to travel the world of Furvilla. Your first move is free, but further changes will cost 25,000 FurCash each. Once you’ve changed villages, your account will be placed on a cooldown and you will be unable to change again until the cooldown expires. You may move twice a month, as cooldowns expire on the 1st and the 15th of each month. Happy travels! Now that you know what village choice is all about, it’s time to learn a bit about each of your options! 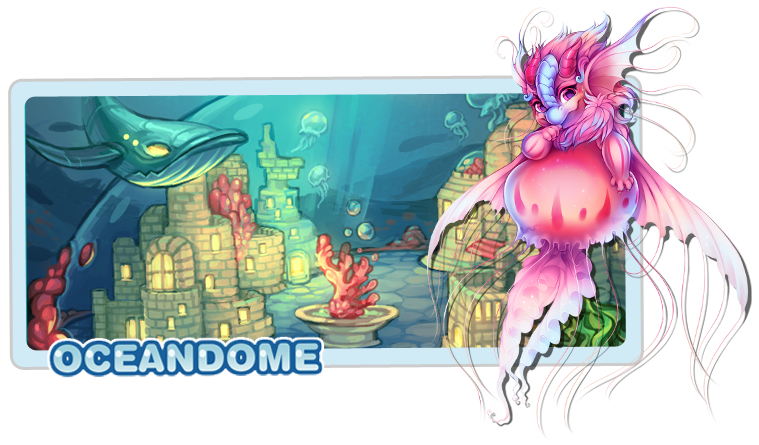 This underwater city is enclosed inside a dome and is overseen by the Mayor of Oceandome, Octavia, who is focused on protecting the dome from monsters. Her citizens’ safety is her first priority. Oceandome is focused around an underwater theme. Players living here have their usernames marked with a blue ship icon. Some items that explorers have a chance to find here include coral, scuba shoes, and seaweed vine seeds. Some items that warriors have a chance to loot here include oxygen tanks, sand dollars, and shark teeth. Some animals that villagers with the animal husbandry career can collect here include rays, seahorses, and orcas. Oceandome weapons and armor utilize the Balance element. The equipment available here is characterized by the benefits of high durability and low battle requirements, but have the drawbacks of low attack and defense. Alchemists from Oceandome have access to recipes for various species morphing potions suiting their village, including their rare native species: the Manokit. They can also uniquely make a Species Morphing Potion, which randomizes a villager’s species. 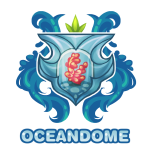 Do you belong in Oceandome? This sky castle was said to be home to angels and is overseen by the Mayor of Quetzal Palace, Ana, who is the leader of the guardian angels. She assigns each citizen a guardian for protection. 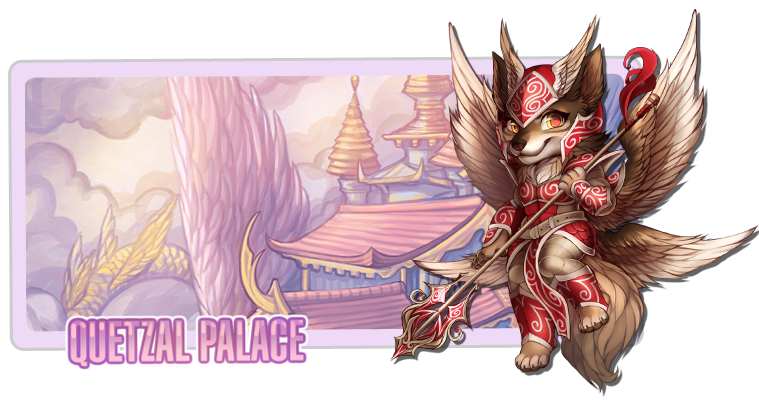 Quetzal Palace is focused around an angelic fantasy theme. Players living here have their usernames marked with periwinkle university pillars. Some items that explorers have a chance to find here include stardust, dragon scales, and flying daisies seeds. Some items that warriors have a chance to loot here include insect wings, sky coins, and dragon tails. Some animals that villagers with the animal husbandry career can collect here include cloudogs, butterflies, and draggys. Quetzal Palace weapons and armor utilize the Light element. The equipment available here is characterized by the benefit of high attack, but have the drawbacks of low durability and high battle requirements . Alchemists from Quetzal Palace have access to recipes for various species morphing potions suiting their village, including their rare native species: the Dutch Angel Dragon. They can also uniquely make a Breeding Potion, which changes an animal’s breeding type (male/female). 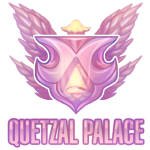 Do you belong in Quetzal Palace? The villagers of this medieval town prefer a simpler life and are led by the Mayor of Olde Foxbury, Minstrel, who is super focused on xir citizens. Xe makes sure everyone’s needs are met! 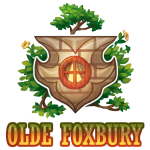 Olde Foxbury is focused around a medieval fantasy theme. Players living here have their usernames marked with a green shield. Some items that explorers have a chance to find here include leather boots, chainmail links, and mandrake seeds. Some items that warriors have a chance to loot here include gauntlets, sun coins, and elaborate hilts. Some animals that villagers with the animal husbandry career can collect here include fairies, hydras, and kirin. Olde Foxbury weapons and armor utilize the Balance element. The equipment available here is characterized by the benefits of high defense and high durability, but has the drawback of low attack. Alchemists from Olde Foxbury have access to recipes for various species morphing potions suiting their village, including their rare native species: the Saggitari. They can also uniquely make a Durability Potions, which increase the maximum durability of an item. Do you belong in Olde Foxbury? 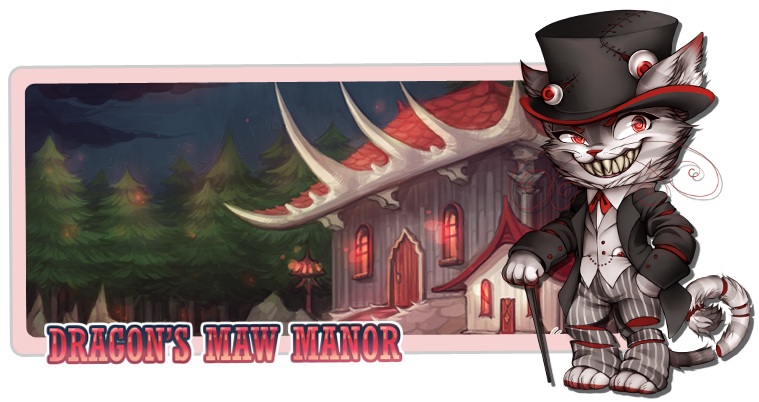 This old haunted town is surrounded by a creepy forest and is overseen by the Mayor of Dragonsmaw Manor, Chester. When you ask for advice, he gives you an eyeball. Clearly this is reasonable. Dragonsmaw Manor is focused around a spooky theme. Players living here have their usernames marked with a red moon. Some items that explorers have a chance to find here include candycorn, toxic waste, and venus fly trap seeds. Some items that warriors have a chance to loot here include spine bones, toothy tokens, and monster claws. Some animals that villagers with the animal husbandry career can collect here include bats, spiders, and pumpkitties. Dragonsmaw Manor weapons and armor utilize the Dark element. The equipment available here is characterized by the benefits of high attack and low battle requirements, but has the drawback of low durability. Alchemists from Dragonsmaw Manor have access to recipes for various species morphing potions suiting their village, including their rare native species: the Wickerbeast. They can also uniquely make a HP Potions, which restore a warrior’s health in battle. 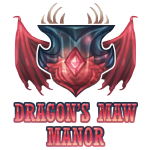 Do you belong in Dragonsmaw Manor? 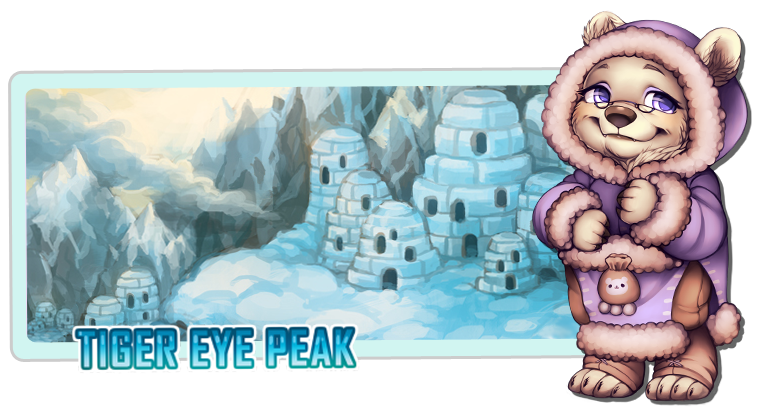 Tigereye Peak is focused around a mystical arctic theme. Players living here have their usernames marked with a gray tree. Some items that explorers have a chance to find here include hot chocolate packets, mythical scrolls, and frozen fern seeds. Some items that warriors have a chance to loot here include magic gems, frosted tokens, and mammoth tusks. Some animals that villagers with the animal husbandry career can collect here include hares, seals, and whales. Tigereye Peak weapons and armor utilize the Balance element. The equipment available here is characterized by the benefits of high attack and high defense, but has the drawback of low durability. Alchemists from Tigereye Peak have access to recipes for various species morphing potions suiting their village, including their rare native species: the Shifty. They can also uniquely make a Miracle Growth Potion, which increases the yield of a plant by 10%. 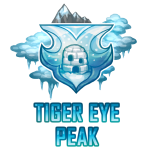 Do you belong in Tigereye Peak? 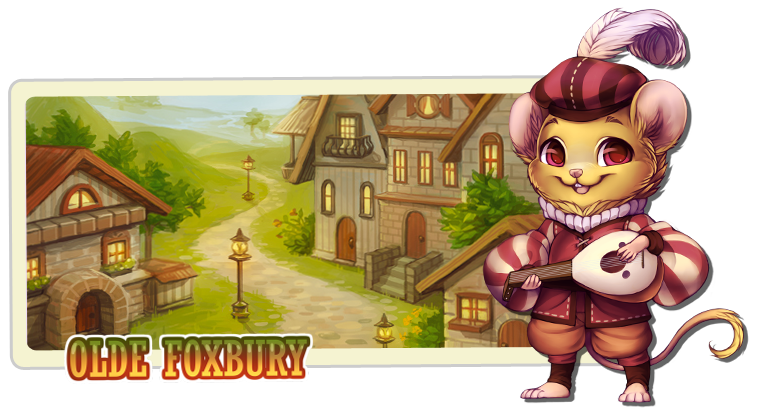 No matter which village you choose, there's lots to discover in the world of Furvilla!